We are a community of families whose children attend a public school and return to the parish on either Sunday mornings or Monday evenings to have an encounter with God through breaking open the Word of God, learning our faith traditions, and discovering God’s work in our lives. Parents are encouraged to take an active role in our program by reviewing lessons and homework and by volunteering time as a Catechist, Classroom Aide, an office helper, or a substitute catechist. Get Ready for Vacation Bible School! Join in on the fun… June 17-21 from 9am until noon. 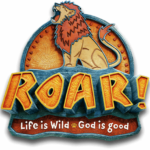 Learn More & Register for VBS! To reserve a place in our program, please register. Forms are available below, in the Parish Center Office or by calling 708-352-2383. You may print out and return completed forms to the Religious Education Office with tuition deposit. Online payments are also accepted through the parish website (Click on Donate on the home page of the parish website). To return the forms, you can scan and email them to bcampbell@stcletusparish.com, drop them off at the Parish Center Office or the Religious Education office, or mail forms to St. Cletus Parish, ATTN: RE Registration, 700 W. 55th Street, LaGrange, IL 60525. New families need to provide their parish envelope number and a copy of their child’s baptismal certificate. Note: Grades 1 & 2 and Special Sacraments students must submit a copy of your Baptismal certificate. Registrations without Baptismal certificates will not be accepted or processed. If you submitted a copy last year, you do not need to resubmit another one. We are happy to announce online payments are now accepted through our Give Central payment portal. Please have your invoice available to enter the amount you wish to pay. If you and your family are not Saint Cletus Church parishioners, you must register before you may enroll your children in the Religious Education Program. You may register at the Parish Center during regular business hours, or on the first weekend of the month after the 5:00 PM Saturday Mass or after the 8:00, 9:30 or 11:00 AM Masses on the first Sunday of the month. Classes begin Sunday, September 16th and Monday, September 17th. On Sunday class times for Grades 1-8 are from 9:15 AM till 10:45 AM. On Monday class times for Grades 1-8 are from 6:00 PM till 7:30 PM. The Sacrament of Penance is a liturgical action instituted by the Church for the reconciliation of sinners to communion with God and with the Church. Catholics are obliged to go to confession to receive the sacrament of penance at least once a year — usually during the Easter season (it used to be called “Easter duty”) — or whenever they are conscious of serious sin. Receiving this sacrament is encouraged at other times, as a means of restoring full unity with God and His Church, and for spiritual growth. Contrition: First the penitent (the repentant sinner — the root word in “penitentiary”), must be aware of his sinfulness and must be truly sorry (contrite) for his sins. Another word for repentance is “contrition”. He must repent his sins, and seek the sacrament of penance — that is, to go to confession to a priest. Confession: The penitent confesses to a priest all the sins he can recall — after examining his conscience — that he has not confessed before. The confession is entirely private — the priest-confessor never reveals anything the penitent confesses. Traditionally confession takes place in the “confessional”, a small room where the priest and penitent are separated by a screen to assure complete privacy and anonymity. It is also permissible, if both the priest and penitent agree, to administer and receive the sacrament of penance “face to face” in another room in the church reserved for this purpose. The sacrament can take place elsewhere, in an emergency. Act of Penance: The priest-confessor proposes certain actions — penance — for the penitent to perform. This may be saying certain prayers and/or performing some other fitting action. The person who performs this penance thus shows his sorrow for his sinful acts. This helps him to overcome his faults, and the harm his sins have caused others — to be reconciled with them and with the Church, and to return to behavior consistent with being a disciple of Christ. Absolution: After the penitent accepts the acts of penance, the priest, by the authority that the Church has given him (see the quote from John 20:22, 23 above), absolves the sinner; that is, he grants God’s pardon for the sins. The sacraments of Christian initiation – Baptism, Confirmation, and the Eucharist – lay the foundations of every Christian life. The sharing in the divine nature given to men through the grace of Christ bears a certain likeness to the origin, development, and nourishing of natural life. The faithful are born anew by Baptism, strengthened by the sacrament of Confirmation, and receive in the Eucharist the food of eternal life. By means of these sacraments of Christian initiation, they thus receive in increasing measure the treasures of the divine life and advance toward the perfection of charity. First Holy Communion is the common name for a person’s first reception of the sacrament of the Eucharist. Roman Catholics recognize the importance of this event as the Eucharist is the central focus of the sacramental life of the Catholic Church. All parents who are preparing their children for Confirmation are encouraged to subscribe to free monthly messages with a fun family activity. Click here to subscribe. So is Jesus’ command – to be of service to one another. In this section, look for opportunities that you, your family or friends might reach out to others. Some might be on-going or particular to a specific date. Keep in mind the corporal works of mercy and remember that “when you do it to the least among you, you do it unto Jesus”. Q. When will next years program start? A. Religious Education classes typically begin in September, the weekend after the Fall Fest, or two weekends after Labor Day. Q. When will classrooms be assigned? A. : Classroom assignments are usually assigned in mid-August. We will notify you by email or mail typically the last week of August as to your child’s classroom. Q. Am I guaranteed the class day I request for my child(ren)? A. Generally, all requests are met, unless all the class sizes for a particular grade exceed the 15 student limit. Then you may be required to switch to the other class day. Class assignments are made on a first-come, first-served basis, so get your registration in early! Q. If I am not able to pay the entire cost for my children to attend the Program, what do I do? A. Please contact the RE Office at (708) 352-2383 for a private consultation. Q. My child(ren) are beyond the second-grade level and have not received their Sacraments (1st Reconciliation and 1st Communion) yet. What should I do? A. Be sure to mark on the registration form(s) that you want your child(ren) to be scheduled for Special Sacraments. Children beyond second grade who have not made their Sacraments must attend our program for the year in addition to attending Special Sacraments classes on four Saturdays during the year prior to making their Sacraments. After successful attendance during classes and Saturday sessions, your child(ren) will receive the Sacrament of Reconciliation either along with the second graders on the designated date in the Fall. First Communion is usually made in May at a Sunday Mass (English and Spanish Mass options are available). Q. If I were to become a catechist for the Religious Education Program, what would my responsibilities be? Attend catechist formation meetings held in the evening several times a year. More information and forms can be found under the Catechist Sign-up link. Teach the lesson plans which are provided weekly for your classes, using the catechetical guide and/or a host of additional resources provided to you each week.